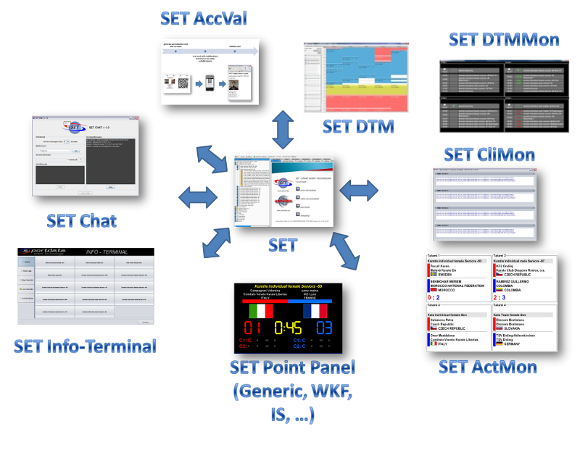 The SET software is a powerful tournament management system. 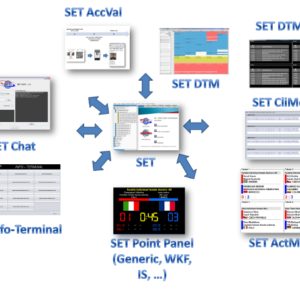 SET supports all phases of the tournament management process: creation of events, collection of registrations, draw tables, entry fee management, generation of reports and statistics, accreditations, certificates, back numbers and lots of others. The difference between SET local and SET network is, that the network version can use external database server and the local version only can use the integrated database. The network version is for bigger events and allows to connect as many other clients as needed to one central database server.